Just try and make me shut up! 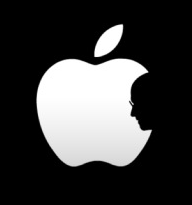 Steve Jobs the co-founder and former chief executive of Apple has died at the age of 56. As most people seen this coming, Steve Jobs got diagnosed with pancreatic cancer in 2003, and after three periods of sickness leave, resigned as Apple CEO in August 2011. This unfortunately ended his life. How will Apple cope now? It has been reported that the new iPhone 4S was named for Steve Jobs himself. The 4 (for) and S (Steve). was this coincidence? Or did they see it coming? Is it some kind of plan to drive more sales in the memory of Steve jobs?